Haptic feedback is most often associated with smartphones; you know, that tiny yet reassuring vibration you feel as you type. The technology is also used in a number of other fields but perhaps the coolest implementation yet comes from researchers with the Bristol Interaction and Graphics group. 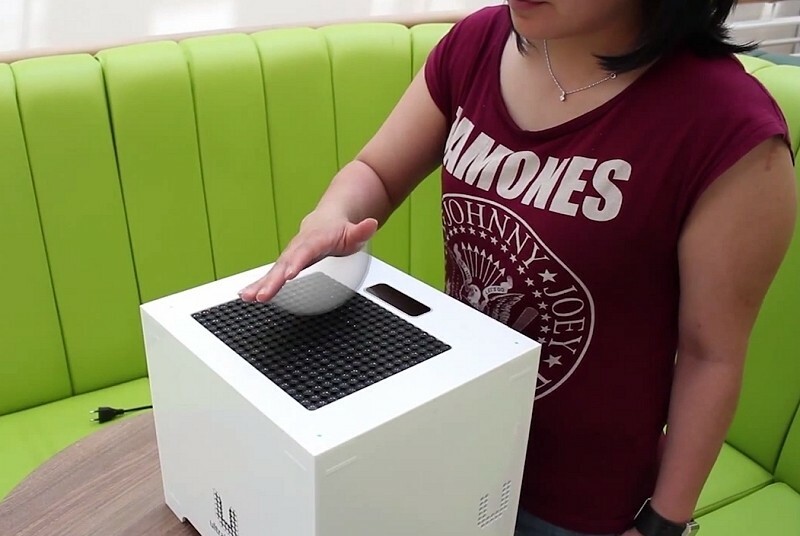 Using versatile ultrasound (sound pressure waves), the researchers created a device that lets its users touch and feel 3D shapes in thin air. We’ve seen similar implementations used to create 2D virtual surfaces but this is the first to do it with 3D shapes. The idea is pretty simple in theory. By focusing complex patters of ultrasound, the air disturbances it creates can be felt as floating 3D shapes. The resulting invisible shapes can be added to 3D displays so users can actually see what they are feeling. Those that need a bit more convincing can see what’s happening visually when the ultrasound is projected onto oil. As shown in the clip above, this creates disturbances on the surface of the liquid. The researchers envision the first practical real-world use could come in the field of medicine. Specifically, it could one day be used to assist doctors in find tumors based on CT scans before they even begin working on a patient. The system will be demonstrated at the annual SIGGRAPH (Special Interest Group on GRAPHics and Interactive Techniques) convention beginning December 3.